A Stonebaked Thin Pizza Base Topped with Tomato Sauce, Mozzarella Cheese and Pepperoni. 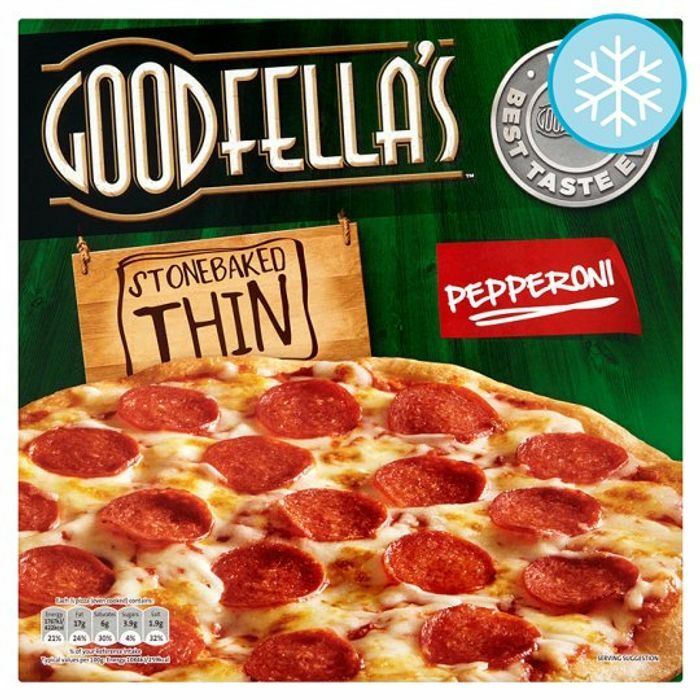 Just when you thought your favourite Goodfella's Pepperoni pizza couldn't get any better, we've only gone and made it even better... our "Best Ever Tasting Pizza" in fact. The meatiest pepperoni, the tastiest tomato sauce, all on our light and crispy stonebaked thin base - all freshly baked and frozen to lock-in that perfect pizza taste. Go on, give our Best Ever Tasting Pizza a try next time you gather round a Goodfella's.